Here's something for Scooby and the gang. 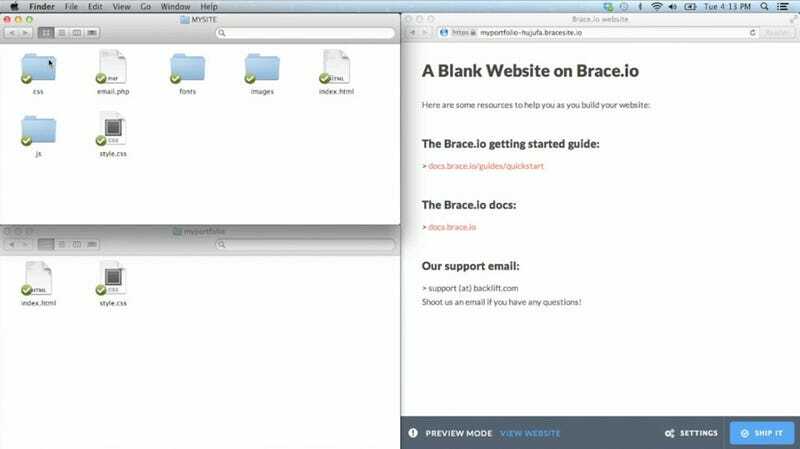 A new service called Brace is using Dropbox to organize and sync files to personal websites. Seemingly targeted at consumers looking for a simple, drag and drop alternative to things like FTP and Github, Brace is offering a clean and straightforward interface for managing files and styles on a website. But where did Brace come from? Commenters on Hacker News have noticed similarities to the service Backlift, and even spotted a Backlift email address at 0:44 in the Brace demo video (below). Maybe there's some rebranding or off-shooting going on? Brace looks similar to other services like Pancake, site44 and, oh yeah, Backlift, but it could be a solid contender in this space because of its feature set.